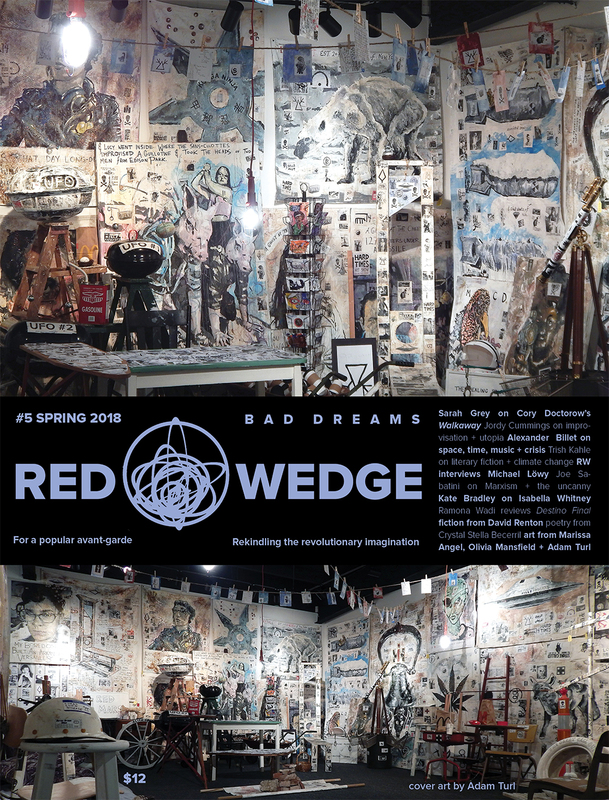 Paintings of comrades, friends and loved ones to be exhibited at the end of the world. Ohio Erasure Castle (The Barista Who Disappeared) by Adam Turl. Acrylic, marker, Sharpie, clay slip, photocopies, stickers, post-it notes, coffee and mixed media on canvas tarp.Also in foreground, What Hurts Also Helps (left) and Alien Space Pirates Flag (right). New Lubberland (The Barista Who Disappeared), by Adam Turl. Acrylic, marker, Sharpie, clay slip, condoms, photocopies, stickers, coffee, post-it notes, camo and mixed media on canvas tarp (2018). Alex Pullman, the "Barista Who Could See the Future" has gone missing. 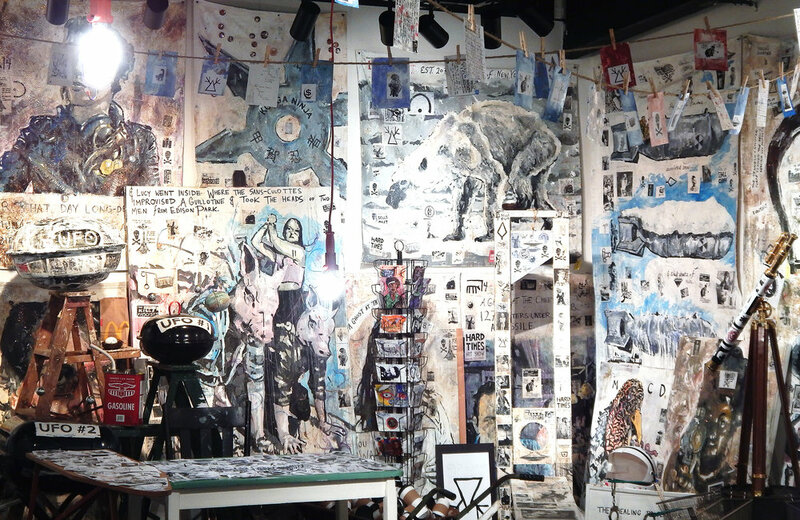 This installation is a recreation of his studio at the time of his disappearance, including his final predictive works -- New Lubberland vs. Ohio Erasure Castle. In his final vision Pullman imagines the last human PI who discovers a spate of missing persons and realizes that some are escaping to a "Big Rock Candy Mountain"-like paradise called New Lubberland, while others are being kidnapped by a government entity known only as the Ohio Erasure Castle. Rahab (Revolt of the Swivel Chairs), by Adam Turl. Detail. 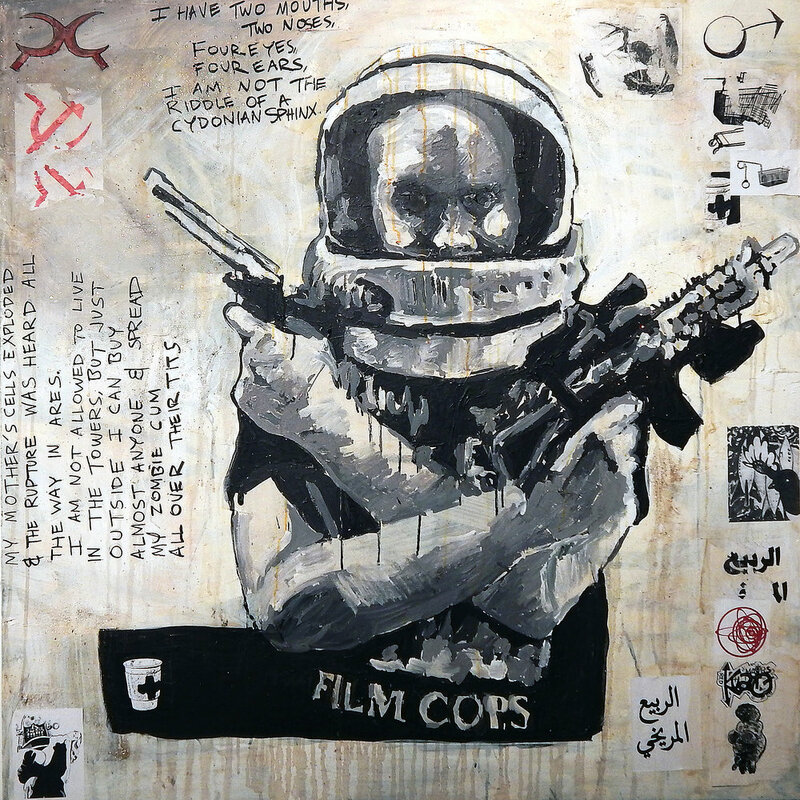 Acryic, stickers, marker, buttons, post-it notes, stapes, coffee and mixed media on canvas tarps. (2017-2018). Alex Pullman, a part time artist and coffee shop worker, believes he can see the future. In his first vision, looking through his grandfather’s telescope, he saw a revolution unfolding on the surface of a colonized Mars. He then foresaw that on the eve of World War Three UFOs would appear in the skies. They froze missiles and bombs in the air and resurrected the world’s communards. In his third vision he saw a million people on rafts fleeing New York City as it drowned in the ocean. Scrambling for their lives they began to denounce each other – and each formed their own personal nation-state. A note: Alex Pullman was briefly a member of the 13 Baristas Art Collective. In the mid-2030s he moved back home to southern Illinois. Red Mars comics (2016) (Adam Turl). 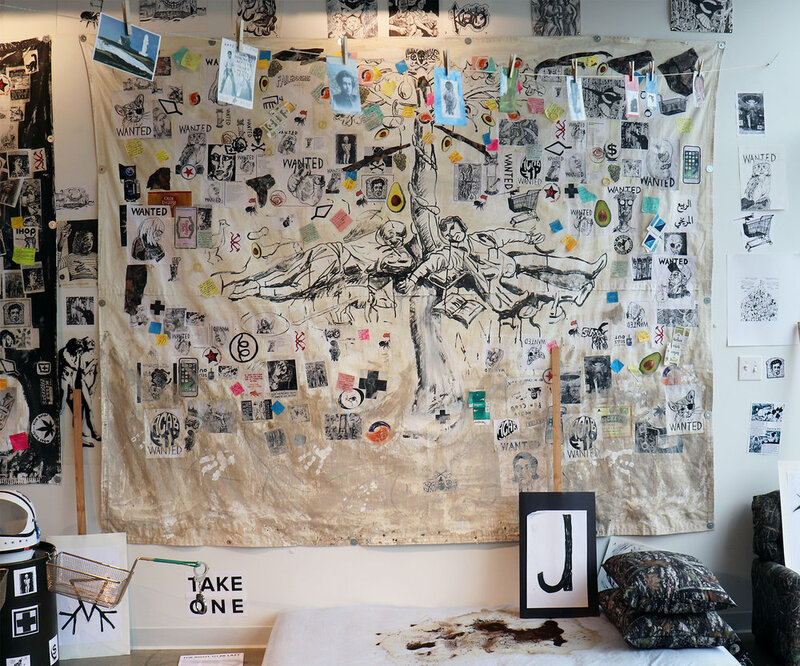 The 13 Baristas Art Collective were a group of radical artists and coffee shop workers who were "disappeared" by the authorities following the Chicago uprising of 2037. They chronicled their stories, their dreams and those of their co-workers in paintings and manipulated objects. 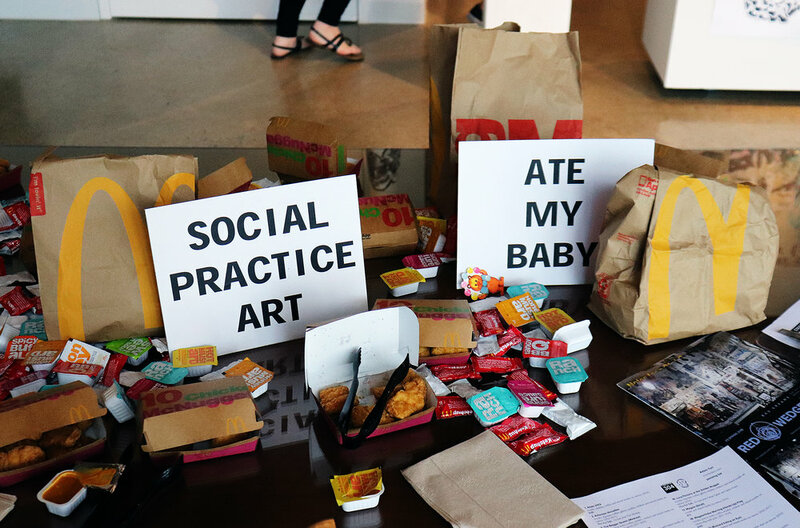 Distributing fast food at art shows. Kick the Cat (2015) by Adam Turl. Acrylic, coffee and mixed-media on canvas with found objects, cups and other material. (Project 1612). This is a recreation of an exhibit organized by Mary Hoagland in a Peoria garage in 2041. 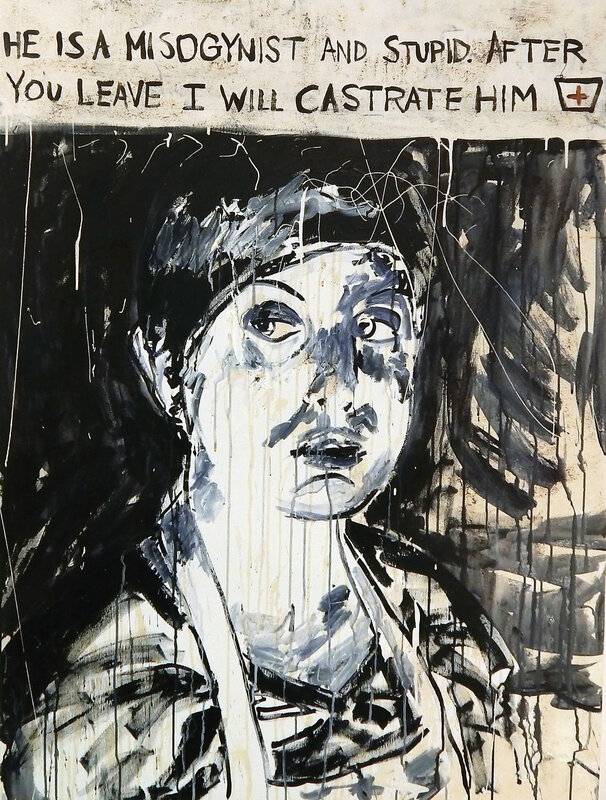 It included her own work as well as work by the 13 Baristas Art Collective (13BAC), an association of artists spearheaded by Sidney Williams, Maggie Cromwell and Amy Sverdlov. Workplace of the Future (Painter for Our Time) by Adam Turl. Acrylic, cotton, concrete, newspaper, mixed-media and ash with sharpie on canvas (2014). Coal Miner’s Son (Painter for Our Time) by Adam Turl. Acrylic, cotton, concrete, newspaper, mixed-media and ash with sharpie on canvas (2014). 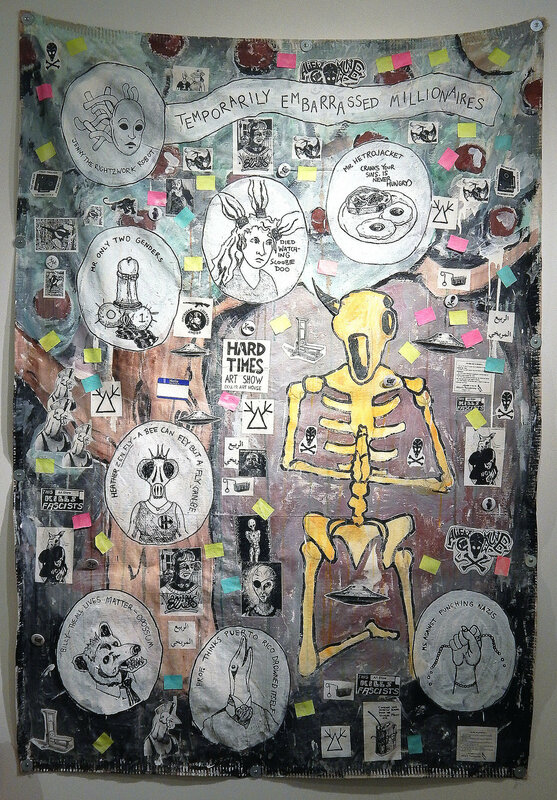 America's Spiritual Heroes (2014) by Adam Turl/ Oil, acrylic, cotton, ash, concrete and mixed media on canvas with food, found materials and iron.